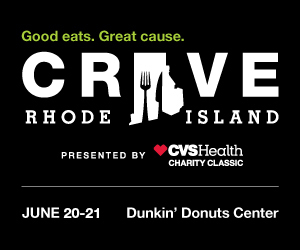 Rhode Island may be the smallest state, but it contains an abundance of green and blue places ripe for investigation. Your two feet can carry you along our treasured bay, through the largest forest between Washington DC and Boston, past the stony remnants of historic New England farm buildings, and among the calling birds of coastal marshes and bird sanctuaries. Getting outdoors brings us closer to our changing lands and waters – reacquainting us with the beauty that persists and spurring us to protect those places we cannot afford to lose. Below is a sampling of Rhode Island hikes and the natural features that accompany them. Even in the desolate clarity of winter, these spaces are a tonic for the soul. Embrace both the invigorating chill and the humid heat of all Rhode Island’s seasons – as the trees do – and take a walk. 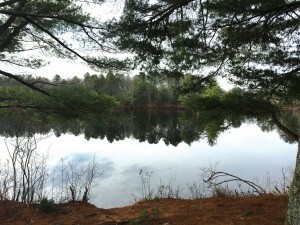 Tillinghast Pond Management Area: The Tillinghast Pond Management Area is more than 2,000 acres of forest in West Greenwich managed by the Nature Conservancy. It is flanked by the Pratt Management Area and the Wickaboxet Management Area – all part of the largest stretch of forest between Washington DC and Boston. This is a beautiful place to stroll and a well-maintained place to go on a trail run, with loops ranging from 2 to 10 miles. 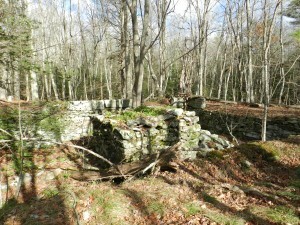 The trails are well-marked here, leading hikers around Tillinghast Pond, through stands of oak and pine, and past the remnants of stone walls that once divided farmlands. During hiking season, wear blaze orange vests and hats to differentiate yourself from the deer. Management areas like this one are protected from development for multiple purposes – the recreational enjoyment of natural spaces away from the human-built environment; hunting animals and fishing within a catch limit; and even logging sections of the forest to create new habitat for species that thrive in the early successional forest ecosystem and provide people with timber for the wood products we use daily. If managed properly, these uses can support each other and help promote a bio-diverse and beautiful landscape long into the future. The Westerly Land Trust occasionally hosts guided hikes in this area. Check here for more information: westerlylandtrust.org/guided-trail-hikes. 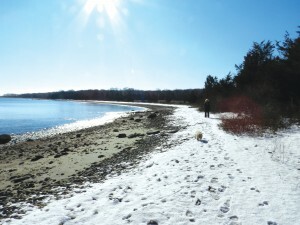 Hike to Rome Point in the John H. Chaffee Preserve: The John H. Chaffee Preserve is located in North Kingstown along our blue waters, and trails there can take hikers on a family- and dog-friendly 2.5-mile loop to Rome Point. The blue waters of Narragansett Bay lapping at the inner coasts of our state and the sandy beaches sliding into the deep blue of the ocean are some of the most characteristic images of Rhode Island’s natural space. Narragansett Bay was named an estuary of national significance in 1987 and supports hundreds of species of fish and birds, with an influx of warm-water fish entering the bay since the 1980s. In addition to the Bay’s importance for non-human life, we use the Bay hungrily for fishing, boating and other forms of water recreation. It is a space at the convergence of human and natural life, a place in which to consider the ways the human and non-human influence one other. From Rome Point, lucky hikers may spot Rhode Island’s state marine mammal, the harbor seal, during the fall and winter. Check the Rome Harbor Seal’s website for updates on seal sightings: romepointseals.org. These animals are protected under the federal United States Marine Mammal Protection Act of 1972. Rome Point is a great place to view them respectfully from a distance. Follow up with a water-based harbor seal tour with Save the Bay from Westerly, Fall River or Newport: savebay.org/seals. Ell Pond and Long Pond Trail: The Hopkinton trails will take you on a somewhat challenging climb atop rocky granite ridges, leading to gorgeous views over the waters of Ell Pond and Long Pond, the tall rhododendron forest teeming with rare species and the unique wetlands that have earned the area protected status. One scenic overlook from this hike appears in the 2012 film Moonrise Kingdom. 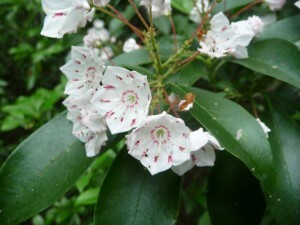 Visit in mid-June to see mountain laurels blooming. Ell Pond is a “kettle hole pond” – a depression formed where buried ice blocks from glaciers melted, creating a hole that filled with fresh water. It was designated a National Natural Landmark by the National Park Service in 1974, and the trails will keep you far enough away from the pond to protect the most sensitive areas of the preserve. You can plan a 6-mile in-and-back hike to cover the entire trail from Canonchet Road to North Road or turn around beside the ponds for a shorter, mile-long walk. Dogs are not allowed here due to the sensitive habitat. Wear blaze orange during hunting season. You can learn more about kettle ponds and other interesting Rhode Island habitats by visiting the Kettle Pond Visitors Center at the Ninigret National Wildlife Refuge in Charlestown: fws.gov/refuges/news/KettlePond_052110.html. Sprague Farm: Sprague Farm in Glocester is a former farm that has been reclaimed by 1,200 acres of forest. Walking through the meandering trails takes you by centuries-old stone walls, bridges and foundations of old farm buildings, once occupied by third-generation family farmers George and Sarah Sprague and Smith and Adah Sprague. New England is littered with stone walls like those you will find here, built by farmers to protect their crops from animals. The excellent signage here, managed by the Glocester Land Trust, describes the 300-year lifespan of the American Beech, the medicinal properties of witch hazel and the Striped Maple tree, rare to Rhode Island. Sprague Farm was the site of the Rhode Island Natural History Survey’s BioBlitz in 2009, which identified more than 1,000 species of plants and animals on the land. About 6 miles of trails loop through the area. Hunting for deer and turkey is allowed on this property, so wear blaze orange during hunting season. Osamequin Nature Trails and Bird Sanctuary: This tiny bird sanctuary in Barrington is on the bus line from Providence and a soothing escape from the bustle of city life. This bird sanctuary is named after Massasoit, the Wampanoag leader, on whose traditional homelands the preserve now sits. It is now managed by the Barrington Garden Club. Marshes may look like a whole lot of unremarkable grassy water to many people – but these environments serve as critical habitat for many species of plants and animals. This shore is a spot for horseshoe crabs to lay their eggs in the spring and lucky visitors may see the endangered diamond-backed terrapin, a turtle about 9 inches long, peeking from the water. The short walk (about 1.5 miles) overlooks Barrington River’s Hundred Acre Cove, the state’s largest inland estuarine system that also serves as a popular spot for paddling and fishing in the warmer months. 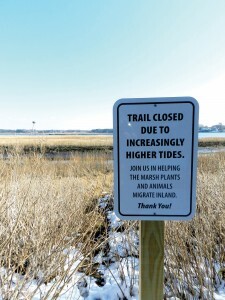 The US Fish and Wildlife Service has recognized these marshes as “one of the 50 most important coastal marshes between Long Island and Cape Cod.” The trails continue to be compromised by rising sea levels – follow signs around submerged parts of the trail. Ben Utter Trail to Stepstone Falls: This trail is situated in Rhode Island’s 14,000-acre Arcadia Management Area, taking you along the Wood River to a small waterfall at Stepstone Falls. This route can introduce you to the area being studied by the National Park Service for a special “Wild and Scenic River System” designation. The Wood-Pawcatuck Watershed includes 300 square miles of land in Rhode Island and Connecticut. This trail begins in Exeter and will take you past swamps and streams. You may notice species including blooming mountain laurel in the summer, witch hazel along the path and many species of birds in the branches of oak, birch and maple trees. In the warmer months, there are a number of paddling routes that can take you through the Wood-Pawcatuck Watershed. Find one on the Wood-Pawcatuck Watershed Association’s website: wpwa.org/paddling_maps.htm.